Members of the Beautiful Zeros and Ugly Ones love to dress properly. 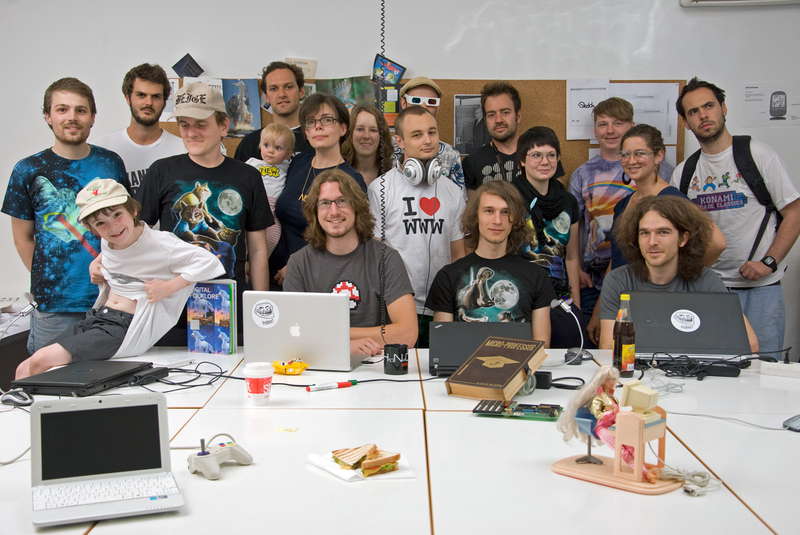 We watch Internet memes closely and order T-shirts with the most obscure motives, to scare the noobz and to show that we belong to the WWW to those who also do. 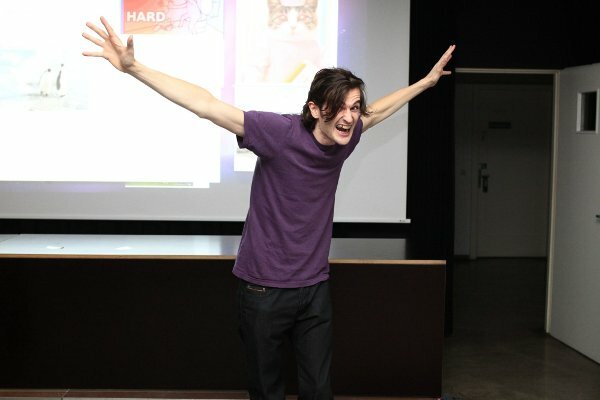 But last Wednesday at the Trailblazers#3 web surfing event, all our efforts were defeated by the outfit of one of the surfers. 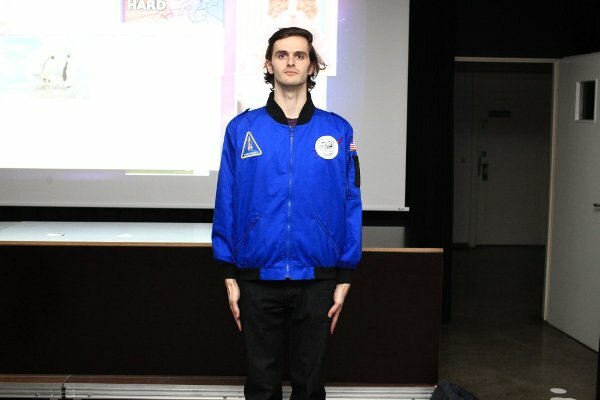 This musician named Roglok, came dressed as a hyperlink: blue jacket over purple T-shirt. 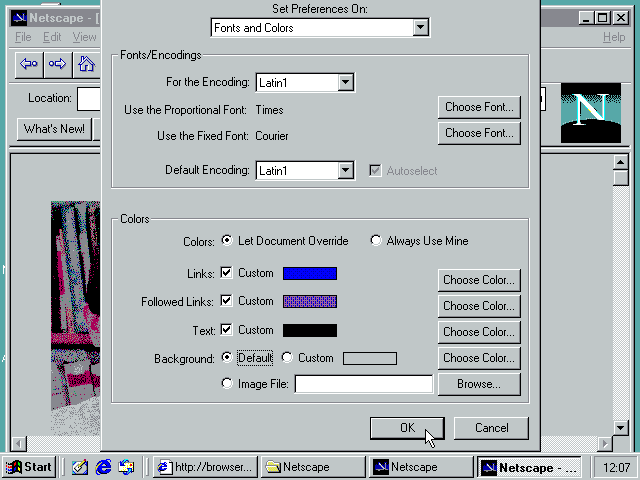 These are classic default colors of the links and visited (followed) links, introduced by Netscape in 1995. Expressions like “I dress like a link today” — meaning to choose blue palette for your clothes — and other jokes we made that evening would be a great topic for the Computer Idioms watch blog, if it would be still updated. What interests me here is that default link colors are a good example of an Idiomatic Interface as opposed to the Metaphoric one. Just read about both in the great book on interface design About Face, chapter 13 “Metaphors, Idioms, Affordances”. Links and link colors were purely idiomatic from the very beginning. There is no parallel to any real world experience made. The thing is though that they are also an example of a dying out idiom. Default colors are rarely used now. Blue links, becoming purple — a powerful interaction idiom of the 90es is now only a visual, retro element.